​The all new SOMMER evo+ garage door opener is a class of its own. The intelligent carriage provides plenty of room for installing sophisticated garage door opener accessories. ​Extremely durable and long lasting due to only one moving part. ​The motor is located at the door instead of the back of the opener, maximizing power and minimizing wear and tear. Extremely quiet garage door opener with virtually no vibrations. Perfect for homes with living spaces above or near the garage. The alarm buzzer recognizes a break-in attempt and outputs a loud signal tone. ​The warning buzzer outputs an acoustic signal during the closing process. For recording air humidity and temperature in the garage. The carriage automatically opens and closes the door a bit if necessary, ensuring perfect air circulation. This reduces the risk of mold formation. transmitters can be easily moved to a new garage door opener. ﻿Detects motion in the garage and automatically activates the LED lighting. 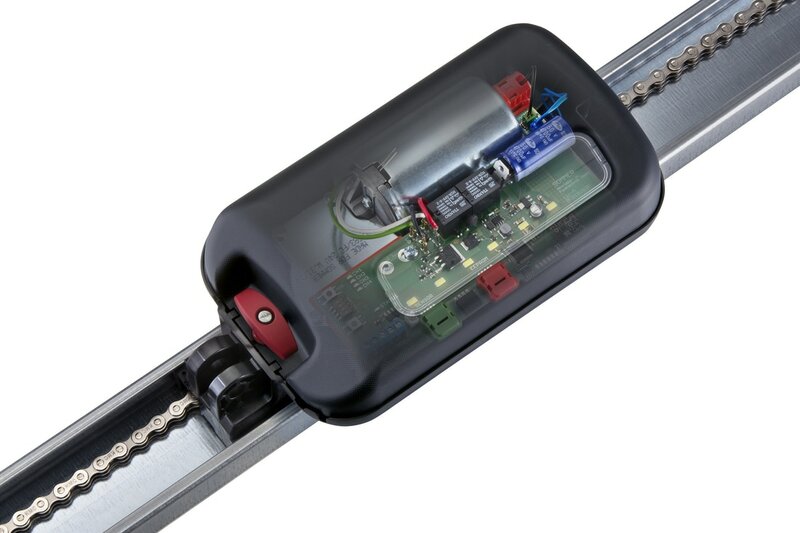 Motion sensor attaches to the door arm and connects to the motor carriage. Additional LED lighting for the control unit. It is switched in parallel with the lighting in the carriages and can be easily switched on and off using the transmitter. ﻿The SOMlink service module offers a wide variety of setting options for the new SOMMER products on your smartphone or tablet by means of the Web app.